Trieste at the golden hour. Aching for a kinder and gentler place? Done. 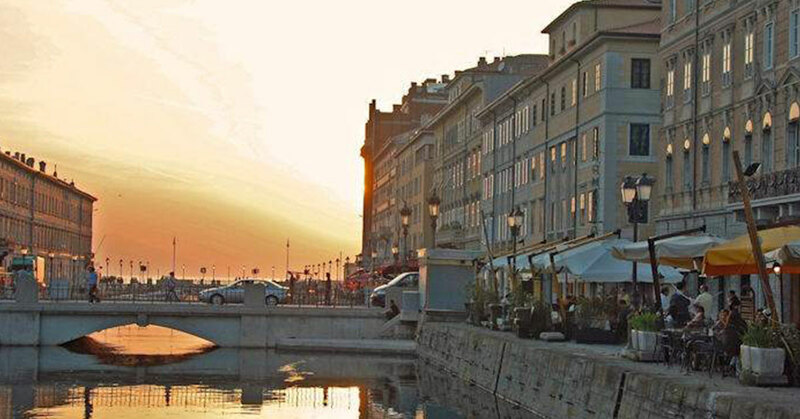 The golden hour in Trieste, Italy, at once takes you back to a serene place, and to a golden age. Walking here among grandiose buildings and piazzas that seem oversized for its small-town feel is like wandering on a movie set, and Trieste is far away from the typical Italian tourist route so there’s no souvenir shop or selfie stick clutter. Imagine that. Just locals who love their town, their vibrant cafes, and the elegant beauty of a century ago. It’s fitting that we found our favorite Italian apertif here before it spread across the rest of Italy – the Aperol spritz, a drink that reflects the orange-gold glow of Trieste.